Check out innovative Polish online courses and lessons on different topics and at different levels of language competence (from basic to advanced level). Prepared with the knowledge and experience of teachers of Polish for foreigners, the courses have been arranged in a most useful way and they have been based on proven methodology of teaching foreign languages online. Each Polish course (Business Polish, Everyday Polish, etc.) has been divided into 30 lessons on different topics. Each lessons consists on average of 25 - 30 screens. 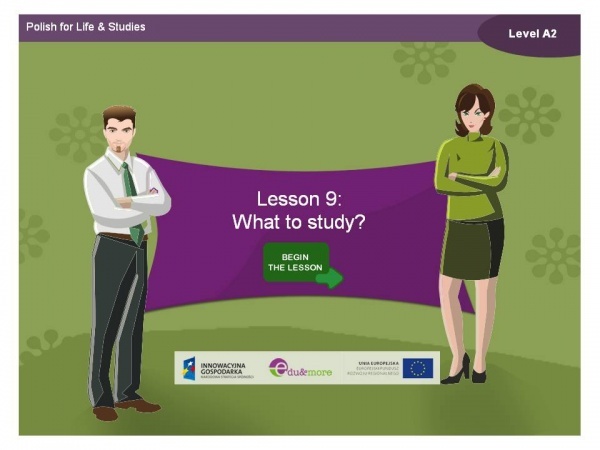 All our online courses and lessons are available with English or Russian translation. To make learning more effective, some screens have the possibility to turn translation on or off. This allows for language immersion after learning vocabulary and structures. Each lesson has been devoted to one topic, based on very practical situations. First screens introduce new vocabulary in a friendly way. They are followed by screens presenting practical structures with learnt vocabulary. This allows students to use new words and practice faster. 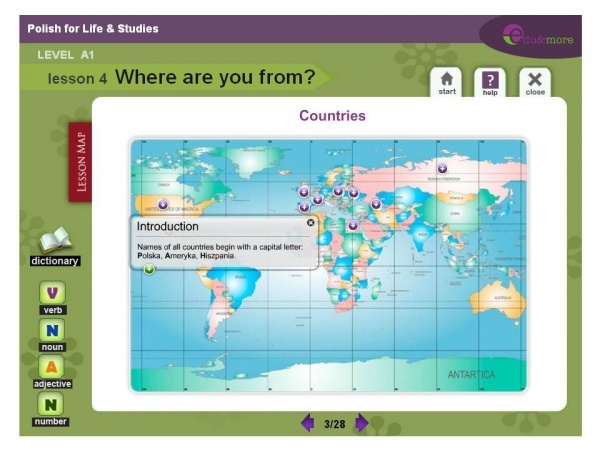 Lessons also contain animated dialogues and texts related to specific situations. 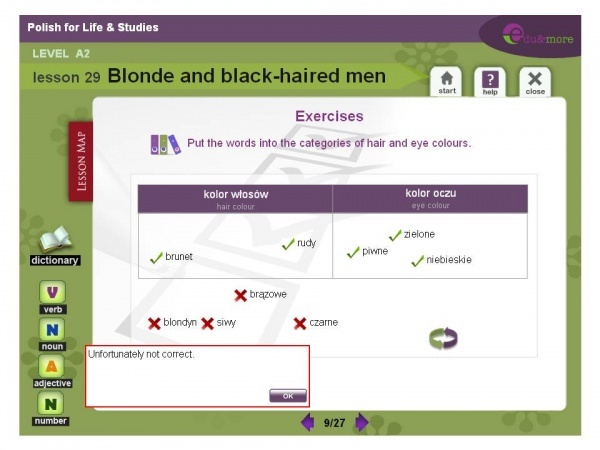 At the end, there are essential Polish grammar rules chosen in the context of the lesson topic. This makes Polish grammar easier to understand. Between these you will enjoy engaging in varied exercises. Each part of the material has little theory and much practice. Lessons finish with revisions to consolidate knowledge. You will also have a dictionary and grammar tables on hand. Pol and Pola, our lectors characters, give you tips, cultural comments and additional explanations during the lessons. Our passion is e-learning, not e-reading! apart from other Polish courses? Ensuring continuity of learning from basic to advanced levels . An Edu & More tutor can support your learning through online conversations and consultations, if you wish. 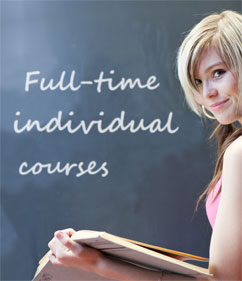 Our online Business Polish course concentrates on everyday topics used in the work and business environment. We were the world leaders in creating an online Polish course with a business profile. Available from basic to advanced level. Even if the subject of a lesson is a restaurant, it is used to ease business conversations and negotiations during lunch. We are convinced that even your basic knowledge of Polish will break many barriers and will build fruitful relations faster. Don’t worry about gaining a perfect command of Polish before you start speaking Polish. You don’t have to be fluent to show you mean business. A great solution if you want to learn Polish, and you work a lot or you often go on business trips! Click on the green arrow to scroll down 30 subjects in each proficiency level. 01. Say „Good morning” 11. What time is it? 04. Who is who in a Company? 07. How many? How much? 08. Where are you from? Our online Polish course for all foreigners who live in Poland or have Polish friends or family. Polish for foreigners who want to study in Poland, or have already started their studies at Polish universities. Also, for foreigners of Polish ancestry, who wish to learn Polish so as to return to their roots as well as friends who want to join group of multilingual people. And for all those interested in learning everyday Polish. We've chosen subjects in such a way, that each lesson will be helpful for specific situations. This Polish language course will make your life easier in many everyday situations. You will learn Polish, and thanks to cultural comments, you will adapt to the Polish environment faster, and you will discover many interesting things about Poland and Poles. Great solutions for every person who likes to learn effectively, at their own pace, at any time and place! 09. Something to eat 19. In a Food Shop 29. What are your plans? Dear Erasmus students! Add “learn Polish” to your “TO DO” list! 17 lessons with the most important vocabulary and practical structures, which will allow you to learn the basics of Polish, understand Poles better and capture Polish hearts! 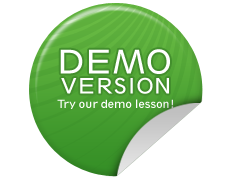 In addition you can choose one lesson from Polish for a Special Occasion course (e.g. Polish Holiday Traditions, Poland in a Nutshell, Music & Instruments). Develop your new language skills and get the most out of your stay by mastering the Polish language too! Get 30% discount off for an online course with the special promotional code: CQAMZQ . What makes a better gift than knowledge or abilities? Check out 30 single Polish lessons on unique topics i.e. "Polish symbols", "Polish cuisine", "Poland in a nutshell", "From a date to a wedding", "Working in a gastronomy", "Au pair" and others. A perfect gift for Polish language enthusiasts. These lessons will give lots of fun and pleasure. Gifts must be beautiful - and so are our lessons. They are unique, out of the ordinary and unknown to our competition! Grammar free. Buy or gift one or more lessons! Click on the green arrow to scroll down 30 lessons of different subjects. What's the coolest place at private parties? The information you should know about each country. Basic knowledge. Elements important to survive. Even if you have nothing in common with Poland this lesson will make you feel good. Lesson ideal for people curious of the world. This lesson has been consulted with men. Mens without unnecessary talks. Only things needed close to you, like accelerator pedal in your car. This lesson will be good for all men, boys, brothers, colleagues and bosses. It's ideal also for women, who want to learn a man's point of view in Polish. Lesson for all who think that Polish is difficult. For a good start. Maybe for a president of a corporation, who has little time, or maybe for a foreign contractor, who rarely comes to Poland... Europolish overcomes language barrier. The lesson is ideal for hard-working people. 2012 is an important year for Poles. Stadiums and motorways are being built, and fans are getting their throats ready. European Football Championship is held in Poland and Ukraine. It'll be difficult for you to support footballers without this lesson. If you, or one of your friends, decide to see a match, take this lesson with you. It's as important as a ticket. We spend a lot of time in cars. We travel, we go to work and we have problems...and mechanics don't always know foreign languages. This lesson has been prepared as drivers' tool kit. It's ideal to be placed in a glove compartment. We would like to dedicate this lesson to all people who are interested in history or have Polish roots. You will learn vocabulary connected with national symbols of Poland and the most important state institutions. There are also Polish towns and their symbols, selected Polish legends, but not only. Each screen includes titbits which will enrich your knowledge about Poland. We would like to invite you to choose a lesson which gets information from more than a thousand-year-old history of Poland! Poles love celebrating. Christmas, Easter, St Andrew’s Eve, St Nicholas’ Day. Religious and state holidays. We hope that you will like this lesson, as you like celebrating. If you have Polish roots, or you want to find out more about Polish holiday traditions, you are invited. This Polish lesson is like a holiday! 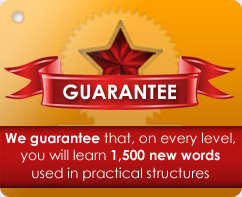 You will also learn many practical words and phrases. Among the lessons for a special occasion, we couldn’t miss on a lesson about Christmas and Easter cooking. Polish hospitality is widely known. That’s why we didn’t stint on dishes, beautiful pictures and recipes you can’t imagine Easter or Christmas without. Very tasty Polish lesson. It is as delicious as a preserve fried by your grandma or as plum jam on a fresh baguette, or as mushrooms or pickles in vinegar. Sweet or hot. Names, structures and several Polish, well-tried recipes, choosing which was a really difficult job! We don’t know which date will lead to a big event like wedding ceremony and wedding reception. More and more families are bilingual. If you are getting ready for a wedding ceremony, or you are planning to propose, this Polish lesson is indispensable for you. Entering new language, customs and culture is not easy, but we have done a lot to make it easier for you thanks to this lesson. It is perfect as a gift for a groom and a bride. This Polish lesson has been created in cooperation with our students of foreign missions in Poland, it was also consulted with Polish diplomats. We would like to thank everybody for valuable tips. Basic vocabulary and texts used in this lesson will prove very useful and helpful for employees of diplomatic missions. This lesson has been created by Polish teachers and musicians. If you play an instrument, you are a music lover or your profession is connected with music, this is a lesson for you. You will learn Polish names of instruments and professional musicians but also useful phrases, which will allow you to talk about music in Polish. Moreover, titbits about Polish composers, artists and musical pieces. Polish lesson for ladies, but not only, because gentlemen also have lots of occasions to visit a jeweller’s. Thanks to this lesson it will be easier for you to buy a souvenir or a gift. You will also find there titbits connected with stones, which Polish goldsmiths and jewellers are famous for. A noble gift for a foreign friend, who likes beautiful things. This Polish lesson should please bridge players and fans of other card games. It is full of basic words and phrases, which will allow you to play cards with Poles. It is perfect as a gift for a foreigner, as a prelude to a game, as polishing languages works great while playing cards. This lesson starts with a screen of Polish folk dances. From the next screen on, there is more dance, and it gets hotte. In Poland, dancing is very popular, so if you are a dancer or a dance instructor, and you are looking for a new place to work, don’t hesitate! But first, familiarise yourself with this lesson. Among the offer of Polish lessons for special occasions, we could not miss on a lesson about religions. Important Polish phrases concerning faith, prayers and spiritual leaders are waiting for you. Thanks to vocabulary and structures from this lesson, you will broaden the scope of topics you will be able to talk about in Polish. Poland is associated with the Catholic religion. In Poland, many foreigners study theology or get ready to be priests or monks. This Polish lesson is a good start when you want to be a priest. It will also be interesting for everybody who is interested in Catholicism in Poland. We present useful structures and interesting places of religious cult in Poland. Who can find this Polish lesson useful? Gardeners, fruit farmers or florist’s employees? Definitely yes, but also those who are interested in plants, like talking about them, tend their gardens and want to broaden the scope of subjects, which can be discussed in Polish. You will learn Polish names of flowers, herbs and fruit as well as structures connected with gardening. The photographs included in this lesson have been taken by a very talented Polish photographer – Beata Grzelak. You will learn Polish vocabulary, useful phrases, and you will find out much about animals living in Poland. Poles love animals, and we hope that you can see it in this lesson. Are you looking for work as a baby sitter? This Polish lesson is for you. Here, you will find vocabulary and structures necessary in everyday nursing and caring over children. Besides this, there are also original advertisements and addresses of Polish portals for baby sitters. We are also sure, you won’t be bored. This is also a good and useful gift if you employ a foreign babysitter. We would like to invite everybody who is looking for work as a carer or is looking for a carer for their close ones to take a look at this Polish lesson. Necessary words and phrases, which make it easier to communicate (which requires understanding and sensitivity). This Polish lesson is important for carers and their patients. Gastronomy is one of fields which brings nations closer. If we didn’t exchange culinary experiences of chefs, we wouldn’t savour many great tastes. And the exchange is possible thanks to the knowledge of the language. This lesson can be used by restaurant guests, but also chefs, cooks, restaurateurs, waiters and many other persons for whose cooking is a passion or a profession, and who work in Poland or employee Poles. Poles like travelling. They choose exotic and warm countries. There, in hotels, you can hear Polish language among guests. Do you want to surprise Poles? Even just a couple of words spoken in the visitors’ language will make them feel at home. And this is what’s the hotel industry is all about. Hotel employees of every rung, this lesson is for you! Military – who is who? It is one of the lessons for a special occasion for fans of militaria. It is also a specialist lesson dedicated to students of military academies and soldiers, who often learn foreign languages to carry out peace missions in other countries. If you are one of them, take advantage! Here, you will find out not only who is who in the army, but you will also learn how to call soldiers of all ranks. This is a second specialist, military lesson. It focuses on military equipment, army divisions and actions both during peace and war. It is dedicated to soldiers and peace mission employees as well as persons interested in militaria. 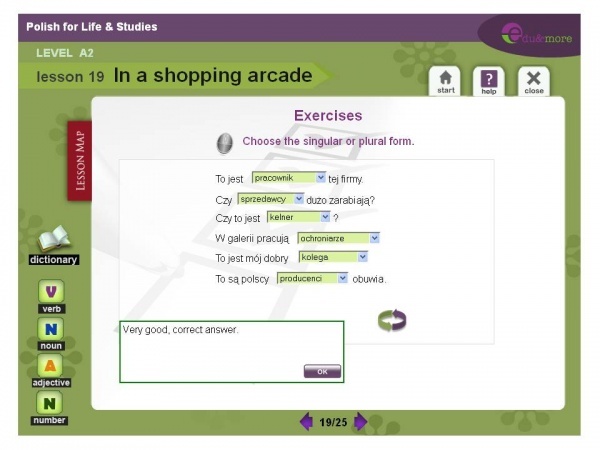 Polish lessons online to be taken as hand-luggage! Click on the green arrow to scroll down to see 16 Polish for Tourists lessons. Every language course starts from some basic vocabulary e.g. days of the week or month, colours, meal names, family members and relatives, etc. You got it in this lesson. Plus several basic structures will be like a warm-up before learning more. Jeden (one), dwa (two), trzy (three) – let's start your Polish course! Saying hello and goodbye and other polite phrases are usually taught at the very begining in every language. You will learn how to meet other people in both formal and informal way. You will learn basic structures used when meeting new people. Besides, You will also say in Polish where you are from. There are also a few cultural titbits about saying hello and polite behaviour in public places. This lesson is like a toolkit to make establishing new contacts easier. You will phrases connected with confirming and denying. You will learn how to refuse in a polite way. You will also learn these useful structures: To jest mój / moja / moje ... (it's my ... - masc, fem, neu) and different examples of invitations to spend time together. It’s a common knowledge that making a good impression when making new friends is extremely important. Regardless of what we take with us for holiday – a backpack or five suitcases – we pack things we need and we can’t live without. Here, you will learn the vocabulary connected with personal belongings and hand luggage as well as typical accessories we take with us on a trip. There are also important structures which will be necessary if you get robbed, or if you lose something. After this lesson, you will make, change and cancel your reservation. In a hotel, in a hostel or in a guest house. You won’t have any problems with reserving a restaurant table for two or more. You will learn a useful structure Szukam / Szukamy (I’m looking / We’re looking) + place. You will also find out about the most popular spa towns in Poland. Most of the staff in Polish hotels, depending on the region, speak English, German or French and they are eager to polish these languages with you. Your knowledge of structures concerning reservations, ordering hotel services and extending or shortening your stay will surprise them. You will also learn a useful structure about services included in the price. This lesson can be useful in a hotel but also in a guest house and private rooms. This lesson in necessary for every tourist. A bus, museum or concert ticket. 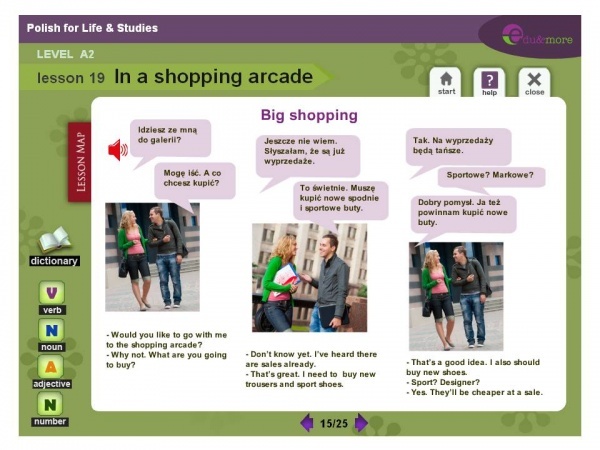 Thanks to the structures from this lesson, you won’t have any problems with buying and reserving them in Polish. You will also learn Polish names of ticketed places and events. Check the comments – you will find there useful information e.g. about public transport tickets. Maybe it will allow you to save some money! In a city. Where is…? Thanks to this lesson, you won’t lose your way in a city, and you’ll get (on foot, by bus or car) to all the interesting places and tourist attractions. You will learn extremely useful and broad structures e.g. : Gdzie jest / są ... ? (Where is /are…), Jak dojść ...? (How to get to… "on foot") Jak dojechać ...? (How to get to… "by car"?) and many necessary expressions to talk about directions and locations. Tasting local delicacies is an indispensable and one of the most popular parts of each trip. You will learn about typical Polish snacks, appetisers, soups and other dishes. You won’t have any problems with ordering them in Polish in every restaurant. You will also learn the structures which are useful when talking to a waiter. You will be able to comment on a cold or burnt dish – hope you won’t experience that! You will also find out, among other things, what smalec (lard) is made of, and how to prepare delicious zrazy (roulade). We hope that you will become a fan of Polish cuisine! Do you know that some Polish cities, like Kraków or Gdańsk, are popular for weekend tourism e.g. for stag parties? Maybe it’s so because Poles like to have fun, and many clubs and restaurants are open until morning. After this lesson, you won’t have any problems with ordering something to drink at a bar in every club or cafe. This lesson also includes the names of popular snacks and structures which are necessary to talk with bartenders. Shopping. Who doesn’t like it? You will learn Polish names of basic products and phrases helpful while doing shopping in a grocery shop, shopping mall or at a market. You should remember these two important words: Promocja (promotion) and Wyprzedaż (sale), even though you will often come across their English equivalents in shopping malls. After this lesson, you should definitely do shopping in Polish on your own. It will be a great test of your language skills. Poles will appreciate your efforts. During a doctor’s appointment, it’s best to speak a native tongue to avoid misunderstandings. But thanks to this lesson, you will learn basic structures which will allow you to define your health and mood. You will learn about basic medicines and phrases which will allow you to do shopping at a chemist’s on your own. The lesson also includes Polish names of body parts. Festivals, fairs, picnics, horse riding. The vocabulary in this lesson will be useful for fans of cultural events, active leisure, but also those who spend their free time on improving their skills. The structures will also allow you to look for local tourist attractions. You will also be able to talk about your tourist plans. The comments include, among other, information about big music festivals during summer, and where in Poland birdwatchers can find their paradise. Poland is surrounded by mountains from the south. From beautiful Bieszczady to tall Tatry - in this lessons, you will learn the names of the most important mountains and peaks. You will also learn the structures which will allow you to fully enjoy in Polish the rest in the mountains, both in summer and winter. For example, you will be able to rent necessary equipment and call for help, if needed. Here, you will learn the vocabulary which will come in handy if you decide to visit Polish sea or lakes. It is connected with holiday places and water equipment. You will learn typical structures about being active in water. The comments will answer the questions about the most popular town among young people, where surfers and kite surfers go, and which Polish rivers offer best conditions for canoeing. Poland has a lot to offer for fans of water sports ! Lesson "Polish for special occassion"
Adjust your course to your interest or needs and choose one addtional lesson from "Polish for special occassion!